Made with 100% beef. Reduced salt. 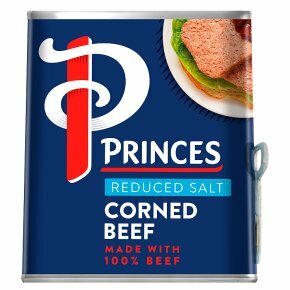 Contains 30% less salt than Princes standard corned beef. The familiar term 'corned beef' derives from the 'corns' of salt traditionally used in the curing process. For best results chill before opening Why not try Princes Reduced Salt Corned Beef in a salad? Delicious.